However, the company had earlier sent some of its customers an offer for an in-car Spotify player –apparently by mistake, as the offers quickly disappeared. Given that hint and Spotify’s rumored interest in hardware, there’s a good chance that the Spotify event will be to announce this device. Given that SPOT stock just started trading last week, the event coming so soon after could have a significant impact. Spotify remains the world’s biggest music streaming service. That position has ensured that most smart speakers — with the notable exception of Apple Inc.’s (NASDAQ:AAPL) HomePod — support the service. Each of these are, in effect, a Spotify player, but they are also one firmware update away from losing that support. However, the company is clearly not content to rely on third party hardware. In February, job postings revealed that Spotify hardware was in the pipeline. Given the huge growth of the smart speaker market, and the involvement of so many tech companies (many of which also operate their own competing streaming music services), Spotify’s interest wasn’t unexpected. Another hint about what the company was up to also arrived in February, when a number of Spotify customers received an offer from the company. It showed a round device with an LED ring, several physical controls and it was clearly mounted on a dashboard. An in-car Spotify player. 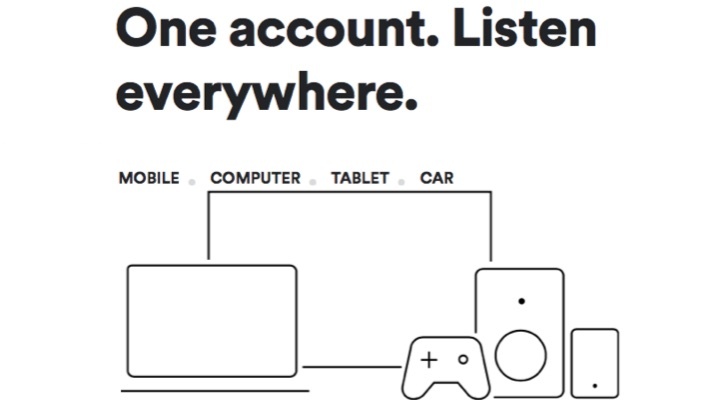 According to The Verge, the offer of an in-car Spotify player went out to multiple subscribers. And there were variations. For some, the Spotify hardware was offered as part of a $12.99 subscription; for others, it was $14.99 per month. On some, the device offered a cellular connectivity option. Some customers were told it supported Amazon.com, Inc.’s (NASDAQ:AMZN) Alexa voice assistant. The two things all of these occurrences had in common were that the hardware was clearly an in-car Spotify player, and the offers quickly disappeared. That brings us to the mysterious April 24 Spotify event. What news would the company be releasing that is important enough to justify summoning journalists to New York? Spotify hardware seems like a safe bet. But the clues from February could be pointing to that in-car Spotify player instead of a smart speaker. And that would make sense from a strategic viewpoint as well. The smart speaker market is huge and growing rapidly, but it is dominated by Amazon. Trying to break in can be risky if everything is not perfect. Apple’s HomePod is a good example of how your own streaming music service, a big name and quality hardware are no guarantee of making a big splash. Having a Spotify smart speaker debut and possibly flop would not be good news for SPOT stock. The one place those smart speakers aren’t located, though, is in cars. Spotify listeners spend a lot of time in their cars, and while some newer models may include a system like Apple’s CarPlay, the majority of listeners are probably relying on a smartphone connected to the car stereo using Bluetooth to stream music. There’s an opportunity for Spotify to grab a leadership position by releasing a standalone in-car Spotify player that would let its customers stream music without having to use their smartphones. It could possibly even boost its subscriber base — especially with those offers that were trialed that added a few dollars to a monthly Spotify subscription instead of requiring a cash outlay. It doesn’t have the same risk as going head-to-head with the mighty Amazon Echo, but could pave the way for doing so later. We’ll have to wait until April 24 to find out for certain what the company has planned. But an in-car Spotify player seems like a leading contender at this point. And the entry into hardware — especially a market where competition isn’t as fierce as the living room — could have significant upside for SPOT stock. Article printed from InvestorPlace Media, https://investorplace.com/2018/04/spotify-technology-sas-first-hardware-release-could-be-in-car-player/.